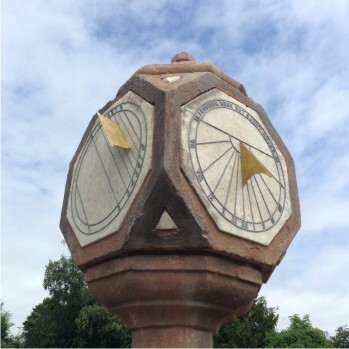 Sundial restoration is always interesting. Each case is different. 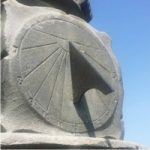 Sometimes the sundial is historic and may need research. An eye for sculpture shapes and architecture is useful. 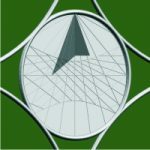 There can be tricky calculations of geometry. The right use of materials and surface patination comes into it. 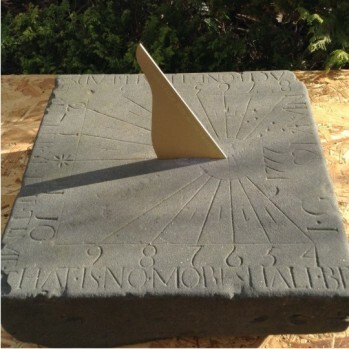 And of course every restoration has to make the sundial work and read the time in sunshine. 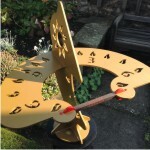 This entry was posted in News, Sculpture, Sundial restoration, Sundials on December 14, 2018 by Alastair Hunter. 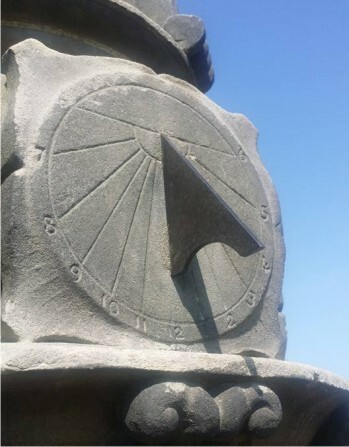 This vertical dial has hour lines radiating from the top, as well as the criss-cross pattern of Babylonian and Italian hour lines, plus the lines for solstice and equinox. 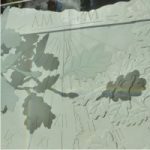 Looking at the shadow of the gnomon, the time of day is 9:30 am and the time of year is the equinox. The Babylonian time is 3½ hours from sunrise, and the Italian time is 8½ hours before sunset. Adding these together the length of day for the equinox is 12 hours.—Note, the figure has no numbers. Once you learn how to read the lines, it is not hard to learn how to count them! 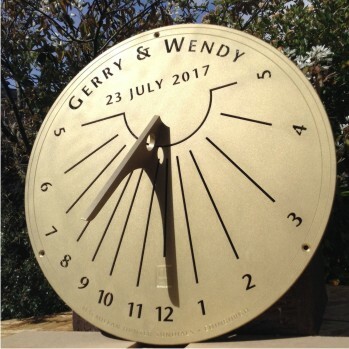 This entry was posted in News, Sundials, Time on October 19, 2018 by Alastair Hunter. 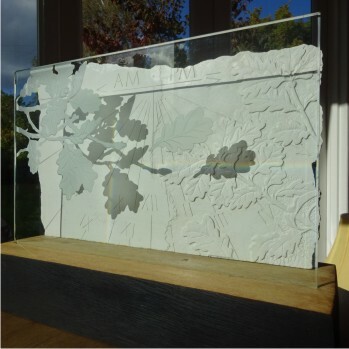 This beautiful sculpture projects the shadow of oak leaves etched in glass onto the carved sundial panel behind. The shadow of a single oak bud falls in exactly the right place to tell the time. 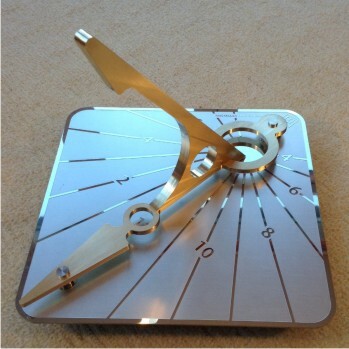 This entry was posted in News, Sculpture, Sundials, Time on October 2, 2018 by Alastair Hunter. 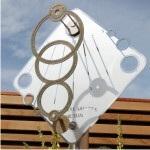 A special sundial commission for a garden wall. The dial markings are correct for the wall’s direction. Made in brass with a soft finish and lines cut by laser. Photo taken before mounting on the wall. 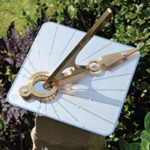 This entry was posted in News, Sundials on May 23, 2018 by Alastair Hunter. 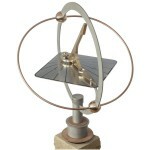 The sundial is a modern design in polished stainless steel and brass. 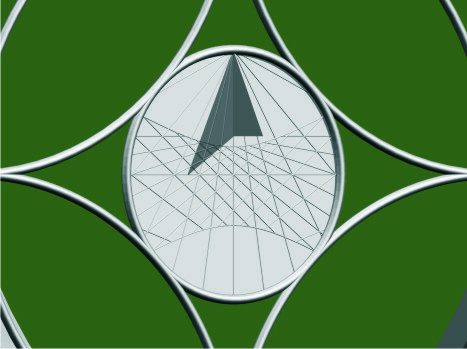 The gnomon has an exact angle of inclination and an interlocking sculpture form. 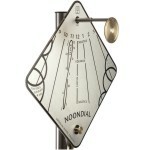 The dial plate has precise hour lines and numbers created by a highly skilled process of photoetching. 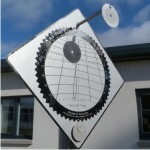 This entry was posted in News, Sculpture, Sundial stories, Sundials on March 15, 2018 by Alastair Hunter. 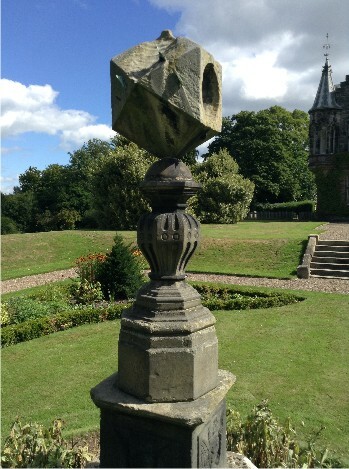 This dual sundial captures the time of day and the season of the year with two separate gnomons, which cast two separate shadows. In this photo the season gnomon casts its shadow in winter sunshine. 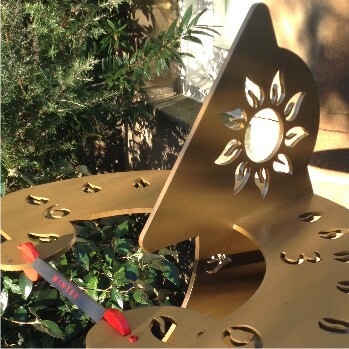 The shadow falls at a low angle and crosses a sundial marker for Winter Solstice. 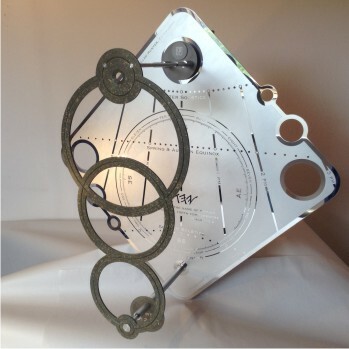 This entry was posted in News, Sculpture, Sundials, Time and tagged featured on December 8, 2017 by Alastair Hunter.